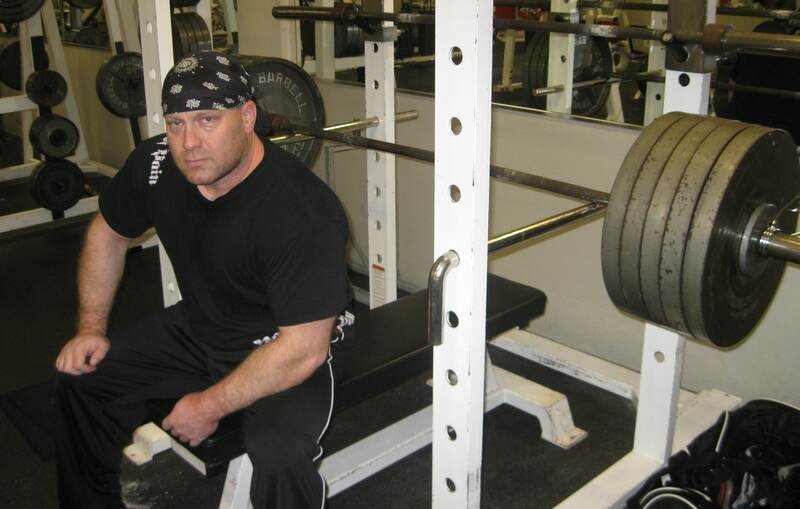 Overloading your bench press weight is an important step in building a bigger bench press. You are probably familiar with the two most common methods, Board Presses and Rack Presses (also called lockouts), but what are the differences between these two effective training approaches, and how do you program them into your training plan? Here are a few pointers to help you use them effectively. Board presses are exactly as the name implies: lay a board or boards on your chest, lower the bar to the board(s) and press back up. What are the advantages to board pressing? The Partial Range of Motion (ROM) allows you to overload the weight lifted. The more boards you use (typically between 1 and 3 boards), the more weight you can lift. Unlike Rack Presses, Board Presses mimic bench pressing lifting pattern. Board presses have an eccentric (descent) and concentric (ascent) component. This allows you to practice your proper bench press technique with board presses. Because board presses have an eccentric component, board presses take advantage of the body’s stretch reflex to give you more starting power at the beginning of the press. Regardless of the gym or bench you use, you will always have a specific starting point for board presses, based on how many boards you use. How can you use board presses? Use as a primary exercise: Because board presses use basic bench pressing patterns, you can use board presses as a primary benching lift. You can use them to train the bench press at heavier weights than you use for full ROM bench presses. Train for heavier weight: Using more boards, train your bench press weights above your current one rep max (1RM). As your training progresses train that heavier weight with fewer boards until you can press it from your chest. Equipped/bench shirt training: If you’re an equipped bencher boards are a particularly useful tool. When using a new or very tight shirt, using boards helps you break the shirt in. As you are working up to a weight heavy enough to touch the chest, use a decreasing number of boards as the weight increases, bringing the bar closer to your chest. Rack Presses are performed in a power cage. Set a bench inside the cage and set the safety pins to the desired height and press the bar directly off the pins. Because you’re using a partial ROM, Rack Presses allow you to overload the weight pressed. Note that for low pin positions (at or below your natural sticking point) you may not be able to press as much weight as you could press in a full ROM bench press. This is because (at least on your first rep) you do not have the use of the stretch reflex to assist in starting the press. Second and subsequent reps are typically easier than the first because of assistance from the stretch reflex. Because you start Rack Presses from the safety pins there is no eccentric phase (of the first rep). You must start the first rep from a dead stop with no assistance from the body’s stretch reflex. This makes the first rep much more difficult than a board press, or full ROM bench press, and will build greater strength at that point. Because you’re training in the power cage, you need very little assistance to perform Rack Presses. You don’t need spotter assistance – if you fail you simply return the bar to the pins. You don’t need assistance to hold the boards in place as with board presses. How can you use Rack Presses? Supplemental Lift: Because Rack Presses technique is not the same as bench press technique, they are used more effectively as a supplemental lift than in place of a full ROM bench press. Single rep sets/Dead Bench Presses: Performing all sets of Rack Presses with a single rep forces you to start each set and rep from a dead stop without the aid of a stretch reflex. This can help build starting strength at that point in your bench’s ROM. Train your sticking point: Setting the pins at the weak point in your bench press (typically the mid-point, where your pec strength declines and your triceps strength takes over) allows you to build strength at that point. Use them to overcome this weakness and lockout heavier weights. Overload the top-end lock out: Training the top two inches of your bench press with a weight far above your full ROM 1RM prepares your body and central nervous system to handle heavier weights. You will find that it gives you much greater control and strength when lifting your full ROM 1RM. Properly programming these overloading techniques at the appropriate point in your program can help you bust through plateaus, and let’s be honest, piling on a whole bunch of plates for theses presses is just plain cool! This is more of a pet peeve than a tip, really. Watching poor form drives me crazy, particularly when a bencher completely ignores half their muscle mass when benching: legs hanging limply off the bench, feet dancing around as the reps get tough, feet up in the air during the press. Ok, that last example actually has a useful function. However if you’re 5’9”, weigh 155lbs, and are pressing 135lbs with your feet in the air, you’re wasting your time. 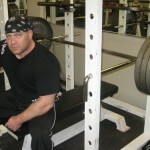 Learn to bench properly first, add some muscle, build some strength, and then start playing with isolation techniques. Failing to involve your lower body in the lift is a common error. How exactly do you involve your lower body in the lift? Leg Drive! What does leg drive do for you? Driving through your feet creates muscle tension from your toes all the way up to your traps. It helps you maintain stability throughout the lift, and helps you maintain your back arch and keep your chest up. Put together, these lead to a bigger bench. How do you incorporate leg drive into your bench? Plant your feet flat on the floor. You may have to try different foot positions to find what works for you, but start with your feet underneath your hips. Keep your shoulders firmly planted on the bench (you may need to chalk them so they don’t slide on the bench), drive though the balls of your feet and push your hips toward your shoulders. This will push your torso up into a tight arch. Continue pushing through your legs maintaining the drive throughout the full range of your bench press. Your entire lower body should be tight, from the balls of your feet through your thighs. If your legs are too short to plant them firmly on the floor and drive hard, try placing a plate underneath them as you bench. If you are maintaining proper leg drive and tension, the only noticeable motion in your bench is the bar moving up and down. Your feet, legs, hips, abdomen, and chest should remain stable and motionless. To build the strongest bench press possible, identify and overcome your weaknesses. 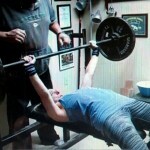 Here I break your bench press down into the possible weak points, and give you approaches to correct them. You’ll notice that some of these corrective actions overlap. Perfect your bench press technique: The training approaches I share here will have limited effectiveness if you have poor bench pressing technique. While improving your technique your bench press max may decline in the short term, but in the long run you will be much stronger, and have much lower chance of injury. Now that your technique is fundamentally sound, and you have a solid strength base, let’s look at where your weak points may lie, and how to improve them. Weak off the chest: If you fail at the chest with heavy weights and are unable to press off the chest, this indicates a weakness in your pectorals and a lack of explosiveness. You can address these weaknesses with a number of improvements in your technique, your strength levels in certain areas, and building greater explosiveness. Key Technique Points: To improve your power off the chest, focus on techniques to improve stability at the chest. Full body tightness: Keep your body tight from your feet through your traps. Do this by maintaining a strong leg drive throughout the press, and using that leg drive to establish an arch in your back. Keep your chest up: Take a deep breath into your lungs before bringing the bar to your chest. Hold your breath until you press through your sticking point. This helps you keep your chest up throughout the press. Feel your pecs stretching across your rib cage as the bar comes down, ready to snap explosively and drive the bar back up. Strength Improvements and Training: Improving your strength in certain areas using these techniques can help you improve the power of your bench press off the chest. Bench pressing at a strength building intensity range, sets of 3-5 reps. Wide grip bench pressing, flat or decline. Note: wide grip pressing can put increased tension on your shoulders, if you have shoulder injuries or limited shoulder mobility take care using wide grip bench presses. Pre-exhaust your triceps. Perform triceps isolation exercises prior to benching, and super set triceps work with your bench presses. With your triceps pre-exhausted, your pecs will be forced to do more of the lifting. Supplemental bench pressing, any variation, in the 10-15 rep range for hypertrophy. 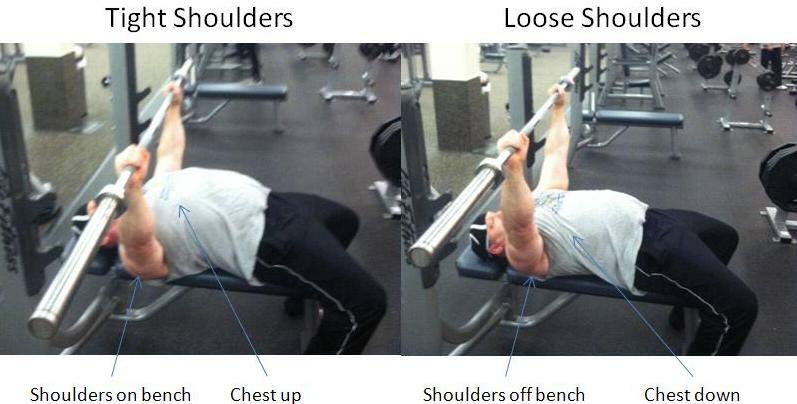 Upper Back/Lat Strength: The back is your primary stabilizer for the bench press when the bar is near the chest. A strong upper back will give you a powerful platform to press from. For an optimal bench press, your back strength should be in relative balance with your bench press strength. Your back training volume should be balanced with your chest training. Emphasize free weight, compound rowing exercises. Shoulder/Anterior Delt Strength: Strong healthy shoulders are important supporting muscles for the bench press. Include overhead pressing and incline benching in your training program to strengthen your anterior delts. Note: Your shoulders are a relatively vulnerable joint. Take care to use perfect form and manageable weight when performing overhead pressing and incline pressing exercises. Explosive Training: Improving the explosiveness of your bench training will condition your body and central nervous system to engage more of your muscle fibers at once to give you a more powerful drive off the chest. 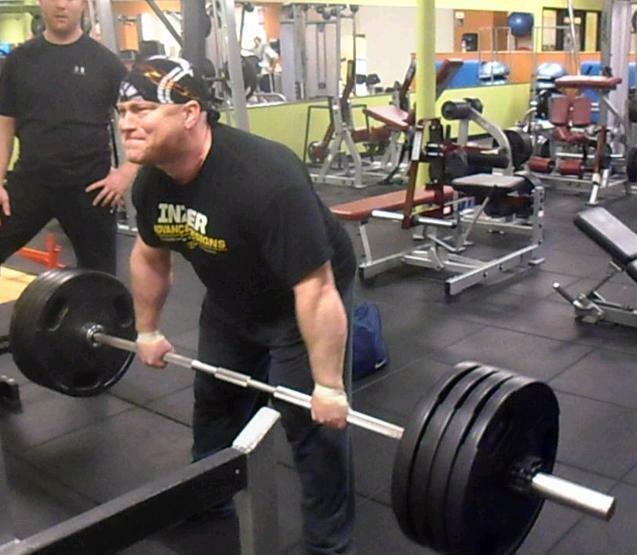 Concentrate on driving the bar off your chest with all of your power instantly. Note: This does not mean you should bounce the bar off your chest. The bar should touch your chest lightly, and come to a stop before pressing it back up. If you have a tendency to bounce the bar off your chest, practice pausing at the chest before pressing. Speed Bench Press: Include some speed benching in your weekly training program. Speed benches should be at a sub-maximal weight, light enough so that you can drive the bar off your chest explosively with perfect bench press technique. Condition yourself to drive each repetition up off your chest with more speed than the previous rep. My preferred sets and reps for speed benching is 9×3 at 50-70% of your 1 rep max (1RM). Accommodating Resistance: Using bands and chains allow you to press a larger weight to lockout while the weight is lighter at the chest. Set the weight to your target at the top end (example if your target weight is 315, you might use 230lbs bar weight and 85lbs of chain). At your chest where the weight is lighter, drive the bar up as hard as you can. Locking out at the top: Failing to lock your bench press out at the top may indicate a relative weakness in your triceps. Key Technique Points: Lockout technique emphasizes locking out your elbows versus raising the bar. Squeeze your shoulder blades together tightly. This prevents you from lifting your shoulders off the bench during the lift, greatly improving your bench stability and reducing the range of motion of the lift. Note: this is a good thing, this technique eliminates unnecessary range of motion. Think about trying to squeeze a quarter between your shoulder blades, and hold that position throughout the entire range of each repetition. 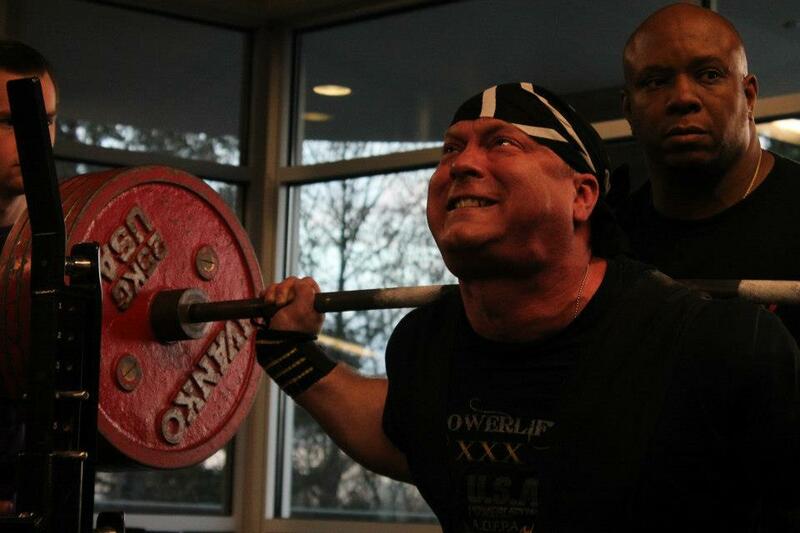 Concentrate on locking the elbows, not pushing the bar upward. 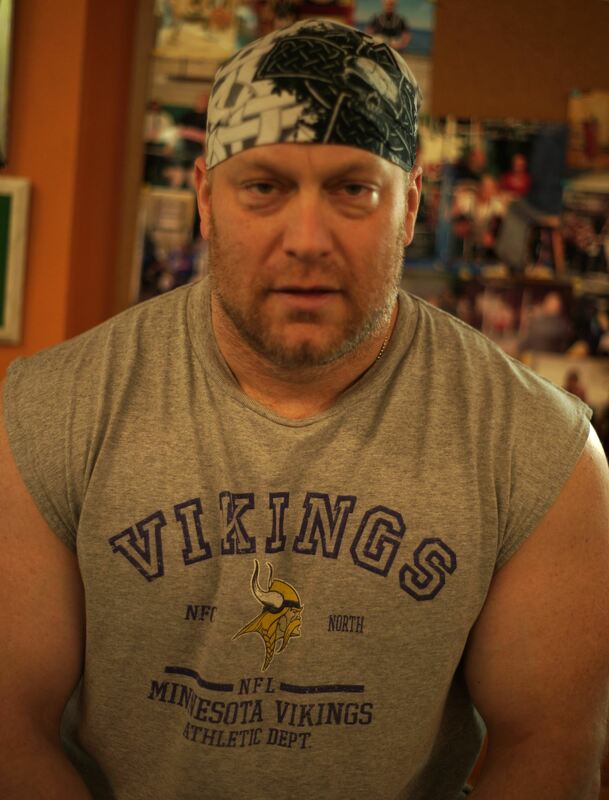 The bench press is complete when your elbows are locked. Instead of thinking about raising the bar, think of simply locking your elbows. Squeeze the bar, and try and pull it apart. This can help you activate your triceps, and turn your pecs and triceps into a rubber band ready to snap tight, propelling the bar upward. Strength Improvements and Training: Your triceps are the primary movers to lock out the bench press. Improving your triceps strength will improve your lockout strength. Triceps Strength: A strong lockout on your bench press requires strong triceps. Effective triceps training is based on a foundation of compound triceps exercises. 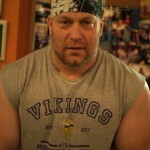 Lockout Training: Build your lockout strength by including heavy lockout training in your program. Accommodating Resistance: Using bands and chains allow you to overload your bench press at the top end. Since the weight is lighter at the bottom of the bench, you can drive it up harder. This allows you to increase the top end weight above what you could normally press. Failing at the sticking point: The sticking point is the point in your bench press where your pecs decline in force production and the emphasis transitions to your triceps. This should be at about the midpoint of your bench press. The key to getting past this transition point is getting the bar moving off your chest with enough speed so that the bar’s momentum carries it right past the sticking point and on to where your triceps have enough power to complete the lock out. Key Technique Points: To drive the bar off your chest with enough power to get past your sticking point, you need to keep your entire body tight and keep your chest up. These points have been previously addressed. Maintain full body tightness by establishing strong leg drive and holding a tight back arch. Keep your chest up by taking a deep breath into your lungs and holding it until you are past the transition point. Accommodating Resistance: Using bands and chains, the resistance increases as you press the bar up. You have to drive it off your chest with enough speed, and keep driving the bar through your sticking point as the weight increases. Lockout Training: Using a lockout technique, set the starting position (rack lockout position, number of boards) to the approximate point at which your bench is at its weakest. Start your press from this point at a dead stop. Explosive Strength: Practice initiating the press off your chest with all of your power so that the bar speed and momentum carries it through your sticking point. 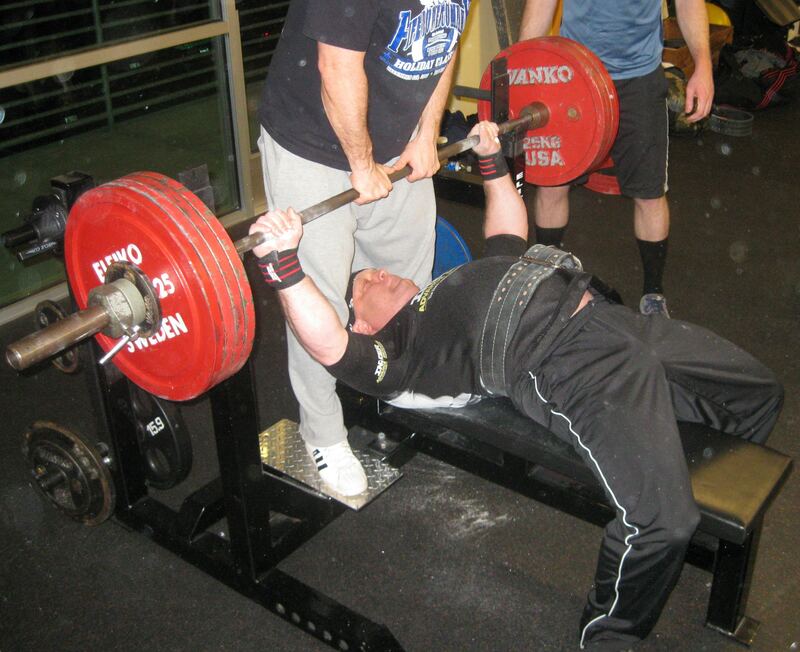 Speed Bench Press: Using sub-maximal weight, practice driving the bar off your chest as explosively as possible. Concentrate on bar acceleration throughout each repetition until lockout, and try to drive each repetition up faster than the previous one. Perfect your technique, build your strength foundation and then address the weak points in your bench. Use these approaches to maximize your bench press strength. Although it appears a very simple exercise, there is a lot more to the bench press than lowering the bar to your chest and pressing it back up. Applied correctly, small tweaks in your lifting technique can have a much greater impact on your bench than the workout routine you follow. Often overlooked during the bench press is the bar position. 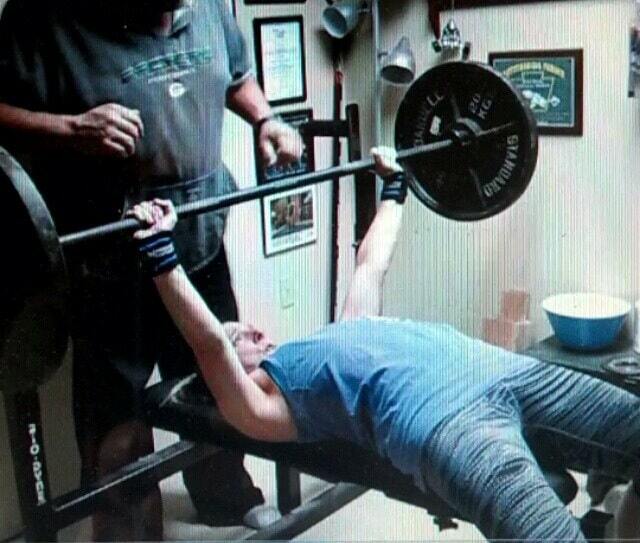 Notice two problems with the bench press shown in this photo? If you said the issues are that I couldn’t get the spotter to get his dang hands off the bar during the lift, and there is a world class powerlifter training in a flashy ‘fitness center’ (Beverly Crawford, two time high school national powerlifting champion, two time USA Powerlifting national champion and silver medalist at the International Powerlifting Federation world championships), you are correct…however not what I was going for. Notice her right hand, circled in red. It appears that her wrist is bent sharply backwards. This is something I see done by the vast majority of bench pressers in the gym. To improve your grip on the bar, you want the bar to rest directly over your wrist and forearm. You do this by rolling your wrists forward, and letting the bar rest in the base of your palm, not up in the middle of your palm. The weight from the bar should travel directly down through your wrists and forearm, not suspended over…air. If you use wrist wraps when you bench, use them to improve the stability of your hold on the bar. When you’re wrapping them, bring the wrap up around the base of your hand. When done right and tight, they act like a cast, and make it difficult to bend your hand backwards. This forces you to support the weight over your wrist and forearm. If you look at Beverly’s left arm, circled in blue, look at the way her forearm is angled downward toward her feet. To get the most power, as mentioned above the bar should be positioned directly over your forearm. Now that we’ve fixed your grip on the bar, move the bar position up your chest so that your forearms are perpendicular to the floor as the bar touches the chest. You can also tuck your elbows in tighter to your body. This will allow you to bring the bar down lower on your chest and still keep the weight over your arms. By making these two changes, you keep the weight of the bar directly over the supporting structure of your arms and chest. This should reduce strain on your wrists, elbows and shoulders, and also allow you to add lbs. to your bench press. 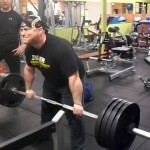 If you’d like more tips on bench pressing, check out my article, Powerlifting Basics: Tips to Increase Your Bench Press.